We sell hand-held labeling equipment that helps you zip your way through label-intense installations. 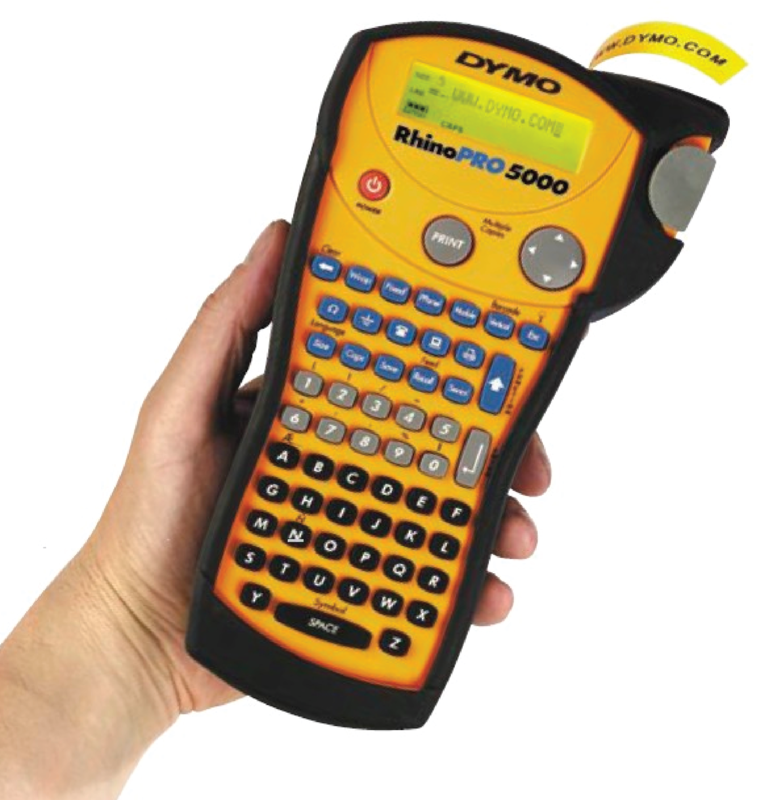 Advanced wire gauge function - select the wire gauge/cable size & RhinoPRO sets up the label precisely. Multiple line printing and serialization. Prints common datacom and electrical symbols and Codes 39 & 128 bar codes. Automatic shut-off. Uses 6 AA batteries. Bright yellow color - This tool won't get lost! Labels are available in 3/8", 1/2", and 3/4" widths in flexible nylon or permanent polyester. Polyester labels are available with black imprinting on clear, blue, green, red, white, or yellow labels; blue imprinting on clear or white labels; red imprinting on clear or white labels; and white imprinting on black or clear labels. Easy peel labels are chemical, moisture, solvent, and heat and smear resistant, with a powerful adhesive that won't let go - even in harsh industrial environments!